Site Glass | Reflex Site Glass - Chase Controls, Inc. Located in Shreveport, Louisiana, Inferno has manufactured sight glasses since 1922. Inferno offers both reflex and transparent style sight glasses. A reflex sight glass is typically used when a single fluid is involved. If there are two fluids or an interface, a transparent sight glass is recommended. Inferno’s sight glasses are manufactured to meet operating pressures in excess of 4000 lbs. and temperatures as high as 456F. Materials of construction are typically steel body and cover. Other materials offered are alloy steel, stainless steel, Alloy 20, Monel or Hastelloy. Inferno’s patented Model FT15 “Free Turn” gage valve out performs all other designs on the market today. 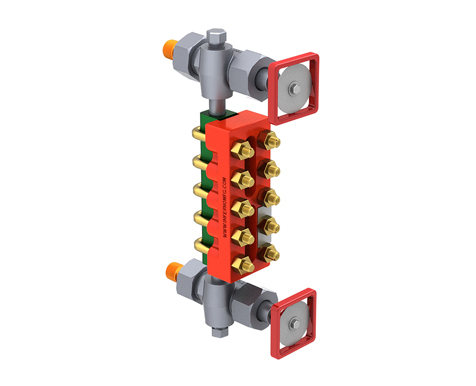 This exclusive design offers a barrier packing which isolates the working threads. The internal threads on this valve are isolated from the process extending the life of the valve.